From shallow wellpoint drilling to large diameter deep water supply wells, using well drilling equipment and well drilling machinery to suit all ground conditions. Project Dewatering Limited typically drills wells for dewatering systems, pumping tests, water supply projects, ground source energy systems and groundwater remediation. 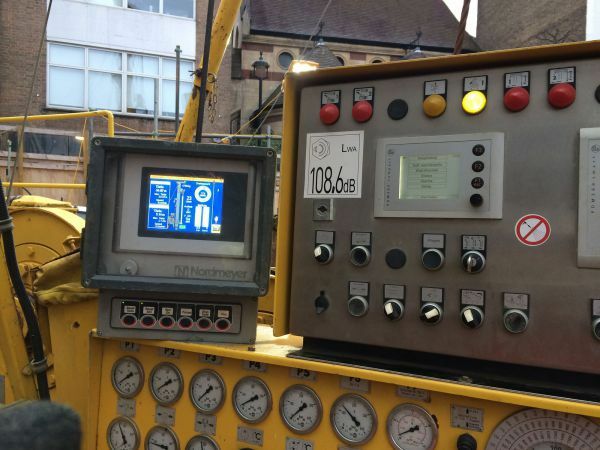 Through our long-standing relationships with our partner companies, we have access to a wide variety of drilling equipment and techniques to suit all ground conditions. 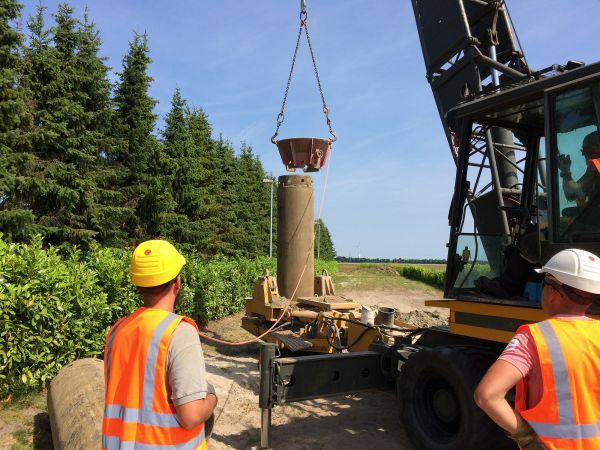 We commonly use cable percussion drilling, rotary cased and open-hole methods and, where appropriate, auger drilling. Plant and machinery are well-maintained and complies with the latest Health and Safety requirements. With the purchase of our new drilling rig, a Fraste 300 we are now able to offer reverse circulation drilling in addition to the other methods. By allowing the clean drilling mud to flow down the outside of the borehole, adjacent to the borehole wall, and by keeping the contaminated mud, heavy with cuttings, flowing up the inside of the rods, the Reverse Circulation drilling method ensures that minimal blocking of the borehole wall, with cuttings, occurs. This gives the best possible borehole wall permeability and therefore provides a well with optimal productivity. 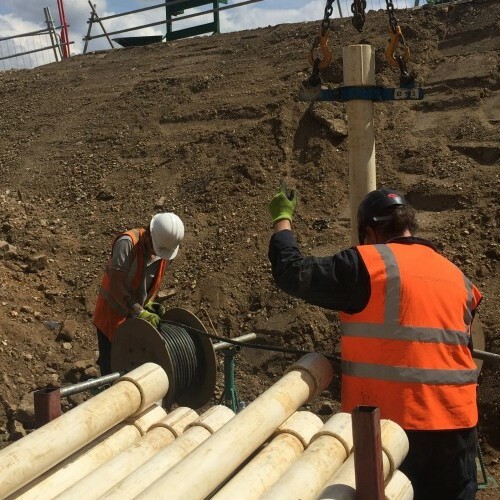 Project Dewatering have already won a number of high profile Ground Source Energy projects in London where this approach was selected by the client due to the superior well performance. In addition we have successfully delivered our first project in the UK using the Holscher Wasserbau Senneborgen large diameter drilling rig. This method uses large diameter casing and a downhole clamshell auger to deliver wells up to 2 m in diameter. This is a unique capability for the UK groundwater management and dewatering industry. Project Dewatering will assess the specific ground conditions that we expect to encounter and determine suitable drilling methodology to ensure both quick progress and a high-quality finished installation. We insist on using drilling techniques that optimise well efficiency and yield, and closely monitor drilling processes to ensure that the installation of well screens and grouted-casings are carried out to the highest standard. Drilling projects range from shallow wellpoints to large diameter deep water supply wells. Following drilling, well development is carried out to maximise yield and eliminate fines in the discharge, ensuring pumping of clear groundwater. This usually involves development by airlift techniques, but for chalk wells could include treatment by acidisation. Comprehensive, high-quality groundwater pump testing and pump monitoring service carried out to BS EN ISO 22282-4:2012 standard. Project Dewatering Limited (PDL) has successfully completed the installation of an innovative dewatering system at this tunnelling project in Scotland. Under the Environmental Permitting (England & Wales) Regulations 2010, PDL hold an Environmental Permit ref: EPR/EB3304FP.